• Feeders Hold Up To Two Pounds Of Food Roughly 5 Day Supply. • Has An Exclusive Snap Lock Bracket System For Wire Cages. • Sifter Floor Design Eliminates Pellet Dust. 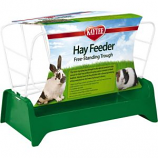 Keeps hay off cage bottom providing a fresh and clean way to feed hay. Built in bottom catch tray minimizes wasted hay. Completely washable. Chew resistant. 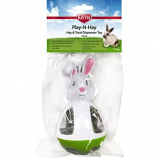 For rabbits guinea pigs and other small animals. 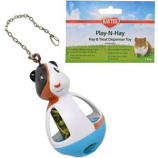 Hanging refillable toy keeps hay and treats off the bottom of habitats. Easily attaches with clip to any wire habitat. Toy encourages activity. . .
• Designer Vege T Bowl For Food Or Treats For Small Animals. • Vege T Bowl Specially Designed For Small Animals Treats. • Hay Manger Attaches Directly Inside Any Wire Cage At Any Level That Is Easy For Your Pet To Access. • Designed To Keep Alfalfa and Hay Off Cage Floors Where It Would Become Soiled. • Also Comes With A Built In Salt Spool Hanger. • Designer Vege-T Bowl For Food Or Treats For Small Animals. 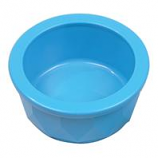 • Vege-T Bowl Specially Designed For Small Animals Treats. The Clear Water Bottle Offers Quality Design and Comes Complete With A Heavy Duty Spring Hanger, The 16 Ounce Size Is Perfect For Guinea Pigs, Chinchillas and Pet Rat. The Clear Water Bottles Offer Quality Design and A Crystal Clear Bottle Comes Complete With A Heavy Duty Spring Hanger. For Chinchillas, Ferrets, Guinea Pigs, Pet Rats, and Rabbits. • Four Paws Easy Feeder Is A Safe and No-Toxic Syringe Dispenser That Is Excellent For Administering Liquid Medications. • Can Also Be Used For Formulas For Puppies, Kittens, Birds, Reptiles and Other Small Animals. • Maximum Capacity 1/2 Ounce. • The Small Animal Bulk Feeder That Helps Take The Mess Out Of Feeding Your Pet. • Powder Coated and Made In The Usa. • Item Dimensions Are: 5Wx6Dx7H Inches. Eliminates Wasted and Soiled Hay and Treats. Reusable Treat Dispenser Holds Any Predrilled Treats Or Fresh Fruits and Veggies. Dimensions: 3 5/8 x 1 3/4 capacity: 4 ounces midget heavyweight crock dish with jewel-like finish unbreakable (under normal use) dishwasher safe comes in teal blue and raspberry colors. • Small Animal Feeder With Sifter Bottom and Lid. • Independent Wire Hooks Secure Feeder To Hutch. • 3 Small Animal Feeder With Sifter Bottom and Lid.